Jambo Everyone: The Jambo Everyone Holiday Gift Guide #2; T-Shirts For Everyone!! 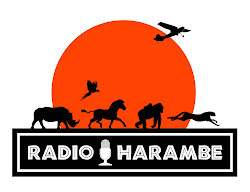 The Jambo Everyone Holiday Gift Guide #2; T-Shirts For Everyone!! Okay, let me admit to something right off the bat. I am a t-shirt junkie. Sounds weird, I know, but I pretty much buy t-shirts from everywhere I travel and then some. I have dozens and dozens, much to the chagrin of my wife. So when it comes to suggesting some ideas for the holiday gift guide it was only natural for me to do an entire post on t-shirts you can get to help conservation efforts. I think I might buy a few myself! First up we have this fantastic tee pictured above offered by the Save the Rhino organization. It is available blue and black, as well as the pictured khaki which is my personal favorite. They also have kids shirts in dark green and beige. They go for 15 British Pounds, which is only about $25. 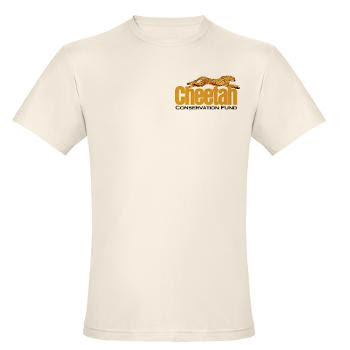 The Cheetah Conservation Fund offers literally dozens of great gift ideas, including an entire range of shirts for everyone on your list. 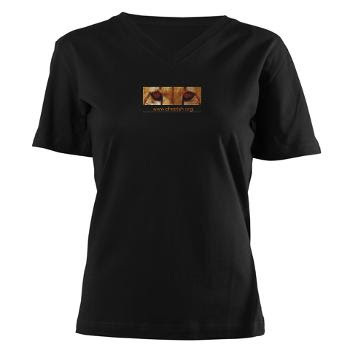 The item pictured above is a stunning women’s cut tee available in a range of colors. Personally, I like this black one the best as it really seems to enhance the emotional connection to the eyes of the cheetah. For men, the CCF has a really nice organic shirt featuring the organizations logo. The shirt is made in the USA from 100% organically grown cotton. It also features on the back a stunning photo of a cheetah doing what it does best, sprinting! Both shirts mentioned here from the CCF sell for less than $30. 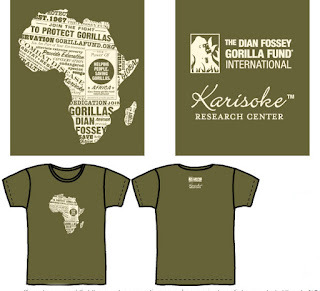 Finally, we have this beautiful shirt offered by the Dian Fossey Gorilla Fund. It is only available in army green, but I can not imagine a color that works better. It sports a cool newsprint design in the shape of the african continent and sells for $24. I admit this might be a bit of a “guy” kind of shirt, but I love it! Let’s be honest, how great would you or your loved ones look wearing any of these around Disney’s Animal Kingdom? They are all gorgeous shirts and the proceeds go towards helping these organizations do their work saving our wildlife.